Designed for intense, fast-paced games, ASUS VG278QR is a 27" Full HD gaming display with an ultra-fast 0.5 ms response time and blazing 165 Hz refresh rate to give you super-smooth gameplay. VG278QR features Adaptive-Sync (FreeSync) technology to eliminate screen tearing and choppy frame rate.Gamer-centric features like ASUS GamePlus enhances your in-game experience, while GameVisual provides various pre-set display modes to optimize visuals for different types of games. ASUS VG278QR is the fastest in its class, boasting a 0.5ms response time to eliminate smearing and motion blur. This lets you react instantly to what you see onscreen, especially in fast paced games - allowing you to take corners like a pro race car driver, or get that headshot like a seasoned pro. There's also the ASUS Extreme Low Motion Blur (ELMB) technology to make objects in motion look even sharper, so gameplay is more fluid and responsive. Input lag on an LCD monitor is typically much lower than a TV, and ASUS VG278QR features GameFast input technology to further minimize input lag. This technology provides much faster motion delivery so you'll always be up to speed with in-game action at the precise timing you need to respond as quickly as is needed. ASUS VG278QR features the ASUS-exclusive GamePlus hotkey to give you in-game enhancements that help you get more out of your game. This function is co-developed with pro-gamer input, allowing them to practice and improve their gaming skills. 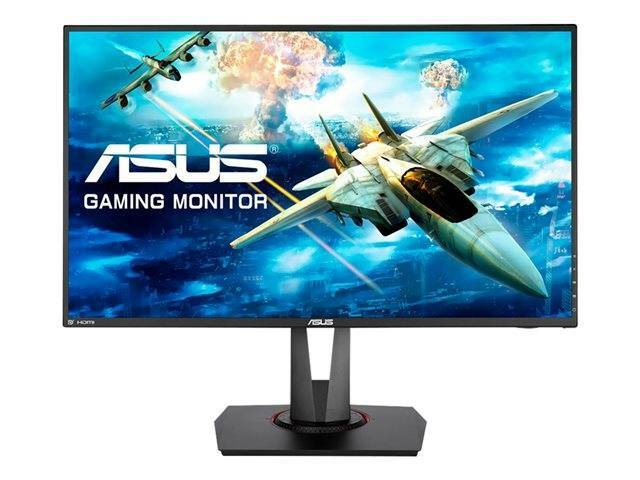 ASUS VG278QR has extensive connectivity options, including dual-link DVI-D, DisplayPort 1.2, and HDMI port, so you can hook it up to a wide array of multimedia devices. It has a super-narrow 1 cm bezel ideal for an immersive and panoramic gaming setup.